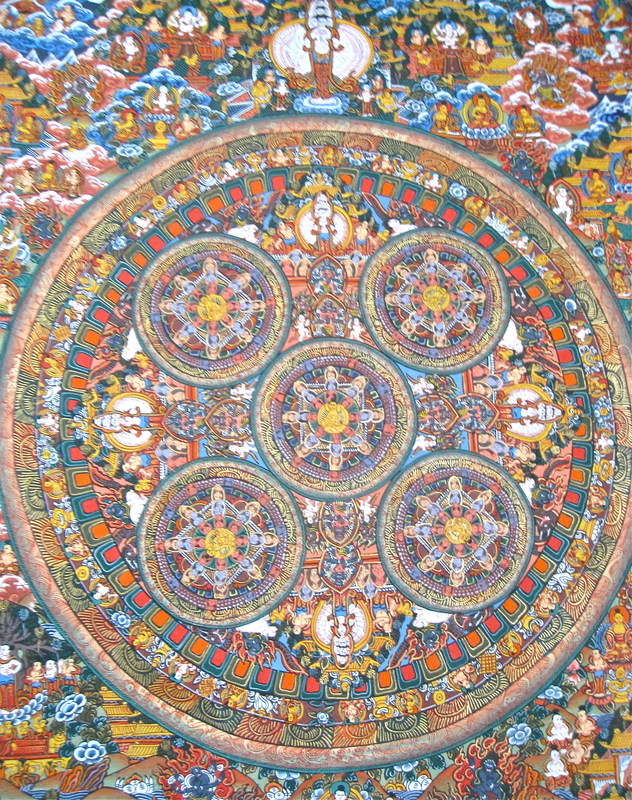 This is an updated, revised version an of essay of mine that was published in the Fall 2004 issue of the Buddhist Peace Fellowship’s former publication, Turning Wheel. It has been overhauled and repurposed for the Trump Era. Just what is it that is specifically Buddhist about Buddhist social activism? Are we only Buddhists who, having been social activists before we discovered the Dharma, are now simply carrying on our older activism under the banner of our new religious identity? Or is Buddhist social activism something that grows organically out of the wisdom and compassion cultivated along the Buddhist path? If so, is this kind of spiritually-based social activism identical to, or different from, the spiritually-based activism espoused by the Friends, Unitarians, Mennonites, or Catholic Workers? Is there something specifically Buddhist that we bring to the progressive movement? To what extent are there particular social issues that fall naturally within the purview of Buddhist social activism (e.g., diversity within our sanghas, the plight of the Rohingya in Burma, the Chinese occupation of Tibet), and to what extent are our issues identical to those of other activist traditions (e.g., criminal justice reform, racial, econom­ic, sexual, and gender equality)? Do we have a specific doctrine relating to economic, political, and social issues, or, as Buddhists, do we eschew “isms” as attachments to the “thicket of views”? It helps to view these questions as koans­ that can open one up to discovery rather than as questions that call for cut-and-dried answers that foreclose further exploration. Nevertheless, several general themes emerge through this kind of inquiry that help define what makes Buddhist social activism explicitly Buddhist. 1) Buddhist practice is nondual. It allows no space of separation between self and other. The dichotomy of working on the self but withdrawing from the world, or working on the world but bypassing the self, is antithetical to Buddhism. Since everything is connected, when I change myself, I change the world; when I change the world, I change myself. How could it be otherwise? 2) Everything that happens happens right here, immediately, in one’s own experience. This is true whether the happenings are bodily sensations and personal emotions, or the remembered images of Syrian refugees, or one’s cognitive and emotional reactions to listening to Donald Trump on the nightly news. All of these are mental objects that call for an equal degree of mindful attention, wise reflection, and skillful response. All are part of Buddhist practice. 3) Buddhist practice is continuous. There is no dichotomy between the sacred and the profane; there is not one realm that belongs to Caesar and another that belongs to a deity. Nothing is excluded from Buddhist practice. We practice all the time, whether sitting on the cushion, talking with friends, shopping at the mall, voting in the booth, or marching in a demonstration. Every moment is a moment of continuous, seamless practice. Social action is a realm of practice no different from meditation or sutra study. 4) Buddhist practice is universal. No thing is left out; no one is excluded. We apply our practice to all people: the good, the bad, and the ugly. We include animals and plants within our practice, too. We are not against anyone: we are not against soldiers, criminals, businessmen, landlords, Republicans, or Alt-Rightists. No one is left out of our caring and concern. We say, “May all beings be happy.” That is our practice. 5) We are not struggling against people but against processes: greed, aversion, and delusion. We work ceaselessly with these three poisons, whether they occur within us or within Donald Trump. We no more despise Donald Trump for his greed, aversion, and delusion than we do ourselves. Donald Trump is just a collection of the five aggregates, the same as we are. Buddhism teaches that all things arise out of causes and conditions. The current ascendence of the Alt-Right is the outcome of innumerable causes and conditions which include, but are not limited to: the long-term processes of urbanization, immigration, globalization, and automation; the growth of multinational corporations, decline of labor unions, Reagan-era and Bush-era taxation policies, and the end of Depression-era curbs on banking and investment; the long-term consequences of slavery, the civil war, and the civil rights movement; the dynamic narrative of personal liberation and identity transformation that has unfolded in the wake of the women’s suffrage, women’s liberation, reproductive rights, and LGBTQ movements; the long-term historical conflicts between Christian Europe and Islam, complicated by European colonialism and the clash between modernity and traditional Middle Eastern cultures; the clash between modernity and fundamentalist religions here in the West; the growth of the internet and reality television; the destabilization of social structures caused by the rapid pace of technological change; the genetic and biographical particularities of the Trump family saga, and so on, ad infinitum. Donald Trump and Steve Bannon didn’t single-handedly create our current situation; the karma of the world flows through their actions in an unbroken chain. We’re here to be yet another influence in the great sea of causes and conditions. We’re not here to control the world; no one ever does that. We’re here to ceaselessly witness and ceaselessly practice. Our practice includes being present to suffering, befriending the forgotten, and being unafraid to speak our truth (with a small “t”) to those in power. 6) Buddhist practice is not overly attached to outcome. When we sit on the cushion and fail to achieve Enlightenment, we don’t become discouraged and change our practice. When we demonstrate against the actions of Donald Trump, and Donald Trump remains unrepentant, we don’t become discouraged and change our practice. Not getting the outcome we want doesn’t invalidate the value of our actions. Perhaps if we persist, our actions will have significant long-term consequences. Perhaps we’ll learn to become more skillful through examining and learning from our failures. Our path in either case, is always the same: a recursive loop of: 1) showing up, 2) paying attention, 3) telling the truth without blame or judgment/ doing whatever’s necessary, 4) being open, but not attached, to outcome, 5) and repeating steps 1-4. This is the Dharma, in short. Buddhist practice is about being here, being mindful, and responding with right speech and right action, again and again, without discouragement. Practice is, as Suzuki Roshi once said, making one’s “best effort on the moment forever.” If one can be deeply present like Avalokiteshvara and see the suffering of the world; if one can show up with the intention to relieve suffering whenever one encounters it to the best of one’s abilities; if one can include every being within the circle of one’s care and compassion; and if one can avoid anger and disillusionment when suffering doesn’t always abate despite one’s best efforts, then one is engaged in a social activism that epitomizes Buddhist practice.